Welcome to the world of marketing and GPS fleet monitoring! 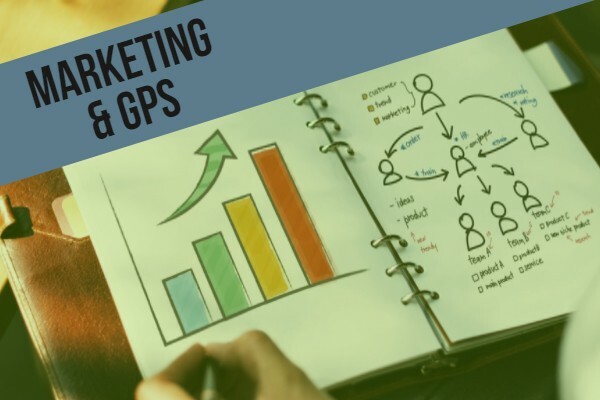 In this post, we will discuss some slick marketing ideas with GPS fleet monitoring. First of all, let’s start with marketing. Here’s a quick question – what does marketing mean to you? Most people would link marketing with ads or coupons. While ads and coupons does fall within marketing, marketing is not just about advertisements! Marketing is about maintaining a relationship between a business and its partners. In other words, marketing includes creating new products, finding new customers, and keeping customers happy. How does GPS for fleets help marketing? Acting on customers with geofences. Marketing Challenge: Attracting and retaining talent. One of the biggest fuel management challenges is finding and keeping good drivers. For instance, consider a recent study. By 2020, Canada is expected to have a shortage of 33,000 drivers. This is because older drivers are retiring and fleets are struggling to fill the gap. Hence, fleet managers are scrambling to find new ideas to keep good drivers. Solution: Using data to engage drivers. 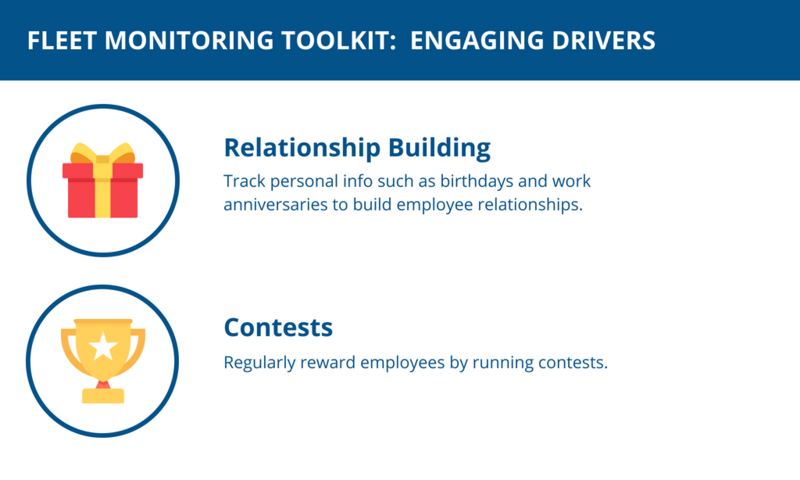 One trucking company used telematics to build relationships and run contests with drivers. Marketing Challenge: Standing out within an industry. Auto insurance marketers face a tough challenge. The industry is repetitive; most insurers offer the same plans, just at different rates. Because of the competition, marketers have to think outside the box to stand out against the crowd. Solution: Using telematics to make a new product. Some insurers, however, are finding success by creating “premium pricing” plans with telematics. Here’s how the idea works. First, insurance companies install tracking devices into their customer’s vehicles. Second, these devices track driver safety habits. Finally, the devices create reports to indicate driver performance. In the end, everyone wins. Why? On the driver side, good drivers are rewarded with steep discounts. It’s a big incentive for them! On the insurer side, the company discourage risky drivers from their portfolio. As a result, the company saves on payouts. Challenge: Communicating with customers on-the-go. A big challenge for on-the-go businesses is communicating with potential customers. For instance, a company started a non-profit recycling project where customers trade used electronics for other goods at certain sites. How can marketers remind customers to show up when the truck shows up? Solution: Using geofence alerts with an email and social campaign. In this case, marketers used a geofence within a marketing campaign. Before we dive into how the campaigned worked, let’s discuss geofences. 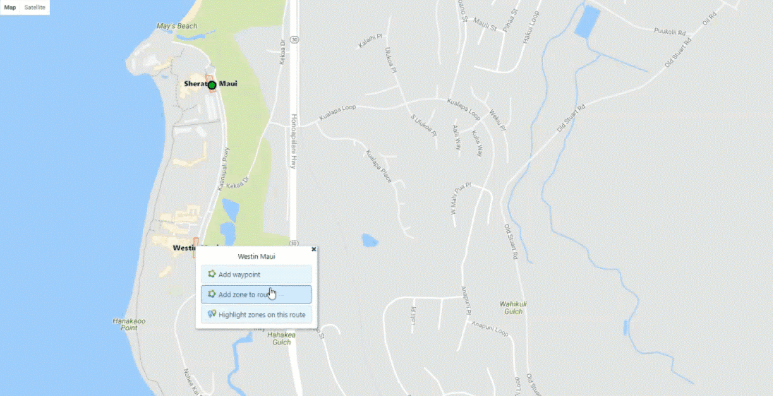 Geofences are a powerful GPS monitoring tool where users can draw zones on a map. With geofences, users get a vehicle’s estimated time of arrival (ETA) to a location and get alerts when vehicles arrive to the location. Now, how did marketers use this tool? First, marketers created a customer list by promoting the recycling initiative. Potential customers then registered on email and social media lists. Next, marketers used web analytics to categorize customers into different locations. Each location is then assigned to the nearest geofence. Finally, as the truck approaches the geofence, the marketing team automated emails to tell customers that their truck is arriving in a few hours. As a result of geofencing, the marketers improved communication with potential customers and increased their recycling drive success!